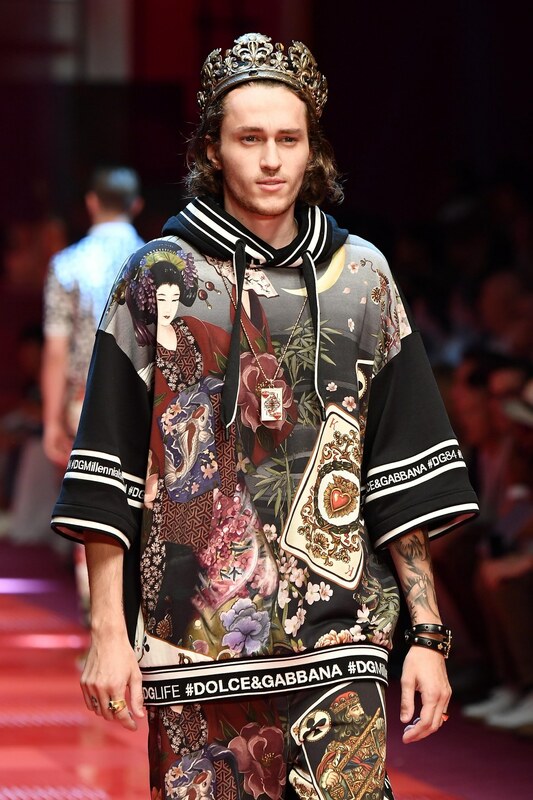 Miley Cyrus' younger brother Braison Cyrus has made his runway debut in Dolce & Gabbana's Spring/Summer 2018 show. The runway show was held in Milan, Italy today as part of Milan Men's Fashion Week. 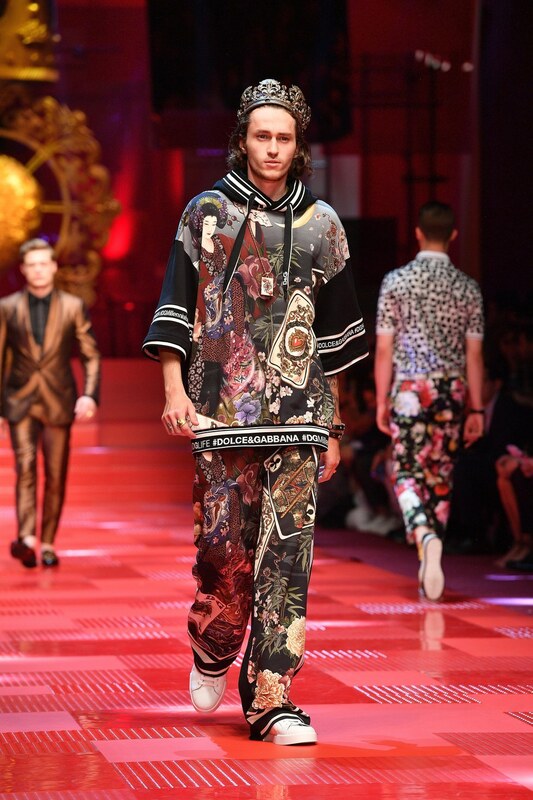 Braison could be seen sporting a crown along with a characteristic D&G streetstyle-meets-couture jumpsuit. Braison made his modeling debut a few years ago after being signed to Wilhelmina Models. Since then he's worked as both a model and actor. Miley was all praise for her brother after he walked for D&G. "Congrats @braisonccyrus on walking in your 1st runway show," she wrote in Instagram. "It's never been my little brothers dream to be a model as HE is one of the most talented musicians my ears have ever been given the gift of hearing.... BUT it is a Cyrus family trait to try everything once (within reason HA) and to embrace opportunities that encourage you to step out of your comfort zone! We believe in trying something new everyday! I love you Prince Suga Bear and seriously congratulations on your experience! I am so proud of you always.... From Nashville to Italy!" "PS D&G, I STRONGLY disagree with your politics.... but I do support your company's effort to celebrate young artists & give them the platform to shine their light for all to see!" she added.